Back To School! Back To Hectic! August 26, 2015 ~ NickyB. I know it’s Wednesday! 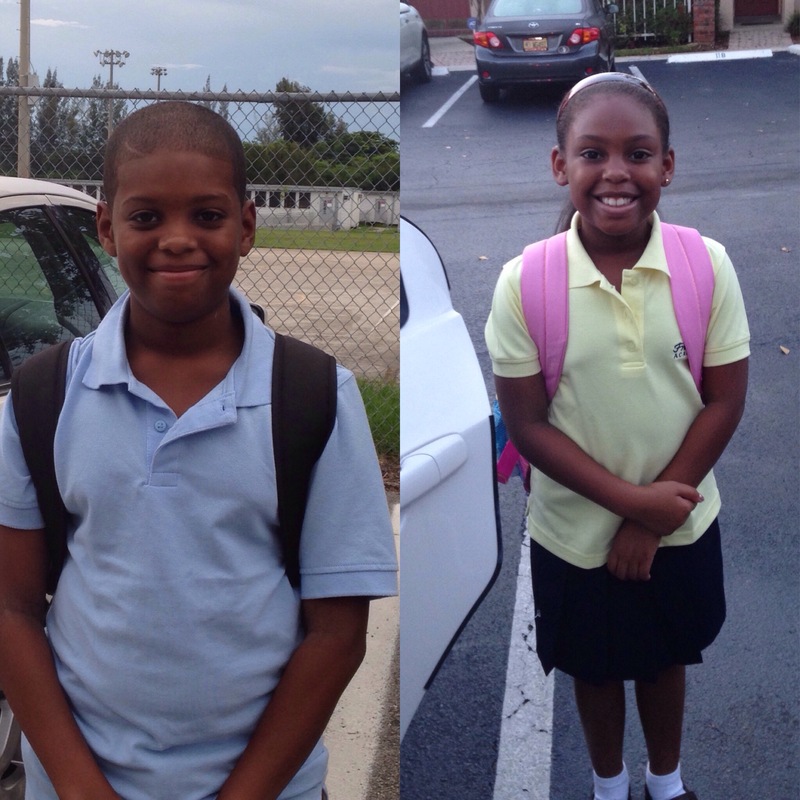 I’ve been meaning to take a “back to school” pic of the kids since Monday! The truth is I was so nervous on Monday morning that I forgot and Tuesday we were rushing all morning. So today I finally remembered to take pics! It’s hump day and I’m already exhausted. Wishing everyone a great “back to school” season! Next > He Made It…OK, I Made It! love the smiles. praying for a blessed year for both of them. Thank you so much. I am praying the same for your children. Precious, lovely children! May God richly bless them and my they grow in Him. I just love their smiles!! Love those smiles! So glad it has been a good 1st week for them!